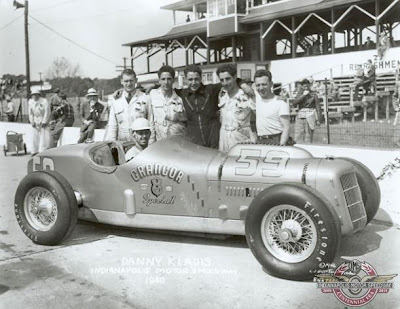 Danny Kladis who started in his first and last indianapoli 500 in 1946, died Sunday at the age of 92. Although he started just one race, it was not due to a lack of trying. Kladis attempted, but faild to qualify in 6 races in various years from 1949-57'. He did however run in 1954 relieving Spider Webb.